Google+ is better than Facebook. There, I said it. I’m not a hipster or someone who is trying to rebel against mainstream social media. I don’t hate Facebook or any other social media platform (besides tumblr). I love them. They reassure my sense of self-worth and campaigns on each of them pay part of my rent every month. 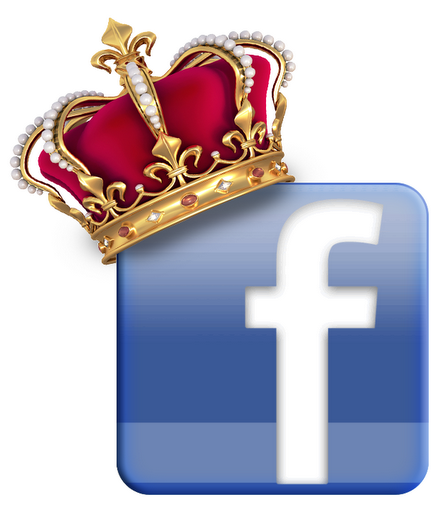 I’ve long preached that Facebook will see the rise of any competitor and adapt to become better. I guess you could call me more of a Facebook advocate than any other social media platform. Still, I believe that Google+ is actually a better network than Facebook. Are you hesitant to agree? Well, let’s break it down piece by piece. There is a reason that Facebook needed to buy Instagram and is reportedly a little afraid of Path. Their mobile apps is horrible! My last update separate the app into three categories, none of which have worked properly. Meanwhile, the Google+ app continues to work without error. It gets used less but it has never disappointed me or made me think about throwing my smartphone at the nearest wall. Facebook, a company noted for many good things, continues to struggle with mobile applications. This could be a problem for Zuck-dawg and the gang as more and more of us do most of our social media engagement on our mobile devices. Arguably something that we are all continuously yearning for, video chat has emerged as a necessity. Everything from TV’s to phones are getting in on it. So, who has a better video chat? Google+. I wrote a long time ago about Hangouts and why they won’t convert us. It appears that I was right. While Hangouts are much more seemless than the Skype chats provided by Facebook, they haven’t caused us to convert. When I want to video chat, I turn on my real Skype account. Don’t get me wrong. I was all over the Facebook Skype chats for the first 2 months. Now, I go to better video chatting services from Skype itself or Google. Circles were divine. They allow us to easily grab and throw people into their most relevant social segments. The lists on Facebook have gotten much better but are still a bit cumbersome to deal with, especially when on a mobile device. Circles have finally allowed us to have one profile that serves every purpose and relates to all of our social circles. I can easily share my favorite articles with my industry people and post my politically incorrect observations to my friends in the same 5 minutes, nobody the wiser. (If only Klout took into account my posts that weren’t public.) I have found Facebook lists to be a little more taxing but that could be chiefly due to the fact that Facebook’s edits came later, an attribute that rarely leads to the most seamless integration. With Google’s newest profile update, Google+ now has the best of Facebook’s last 2 profile layouts. You can either choose one large banner image or 4 of your most treasured images to serve as your header. Admittedly, I do like the Facebook Cover Photo better than the Google+ banner image as it is larger and easier to work with. Google+ needs to add a feature that allows you to blow up an image. Finding images over 900 pixels wide isn’t easy. Still, when it is all said and done, I like the larger profile image of Google+ and I feel like the ability to choose between two styles gives Google a +1 in this category. Let’s be honest. We all share A LOT of videos on social media, most of them coming from YouTube. Of course Google is going to have a leg up here. You can search out videos directly from the homepage and watch them together with your friends. The automatic photo upload is incredibly handy as you get to choose if those pictures ever go public. The new Google+ share button and +1 buttons are very easy to implement and use. The only problem with sharing on Google+ is that there’s nobody there to see it. I think that you’re getting the point of this post. Google+ has successfully (as long as you don’t mind #whitespace) integrated some of the best elements of Twitter and Facebook into one platform. Their listening and search elements are amazing, as you would expect from the leader in search. Everything about Google+ is top-notch. So, what’s the problem? There Wasn’t a Need! Coming up with a great product is amazing. However, if there is no need for that product to exist, what’s the point? Every other social media platform that has shown success has answered a need. When Xanga was big, it allowed those of us who can’t code to continuously write our thoughts online. MySpace allowed us to connect with a network of friends and give updates. Facebook gave us a more exclusive social networking experience and has since evolved into an all-you-can-eat buffet of social interaction. Twitter has given us the ability to live quickly and connect with celebrities on a daily basis. YouTube gave us video. Pinterest gave a place to share dreams without the annoyance of words. Where does Google+ fit in this saturated landscape? It might not. If you’re like many marketers, you’re still asking yourself one question, “Should I write off Google+ or focus on it?” It depends. While Google+ may have not found its way into most of our social media daily rituals, it is still gaining users; especially bloggers hungry for high Google rankings. Google+’s SEO advantage could lead to a boom in the next 6-8 months. I am not so bold as to say that it definitely will but I could see it happening. Where leaders go, people will follow (he says while remaining skeptical about the claimed 30 million active users stat). Still, most of my network’s unwillingness to transfer to a slightly better Facebook will keep Google+ an engagement cemetery for the foreseeable future. Sorry, Google. Having a better product doesn’t always make you the winner. 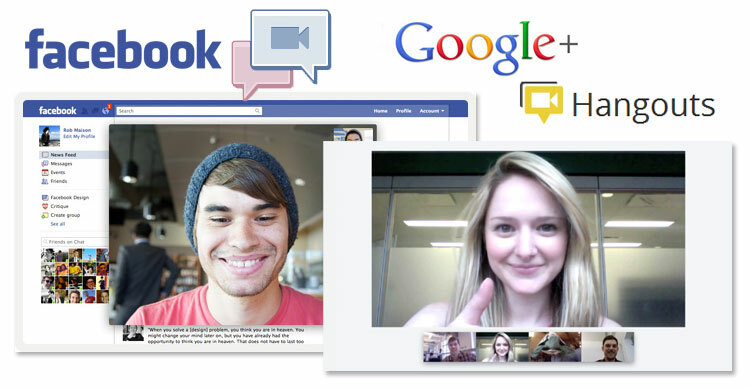 The biggest push for Google+ that’s going on with consumers is the idea of Google+ Hangouts. Forget the annoyingly complicated user interface, the maze of trying to add someone to your network and the complete lack of time; Google+ Hangouts are going to be the Facebook killer. Wait, did I just say that? Other people are and, NEWSFLASH, they’re very wrong. Now I could list for you ten reasons that Google+ Hangouts won’t matter but I’m feeling lazy and a bit pressed for time now that I have another social media network to monitor so I’m just going to give you the Top 3. Consumers have already been conditioned to use certain types of media for their video calling. Many people, even the ones who don’t use it, call video calling “Skyping” just because of Skype’s prevalence in the video calling industry. (I’m sorry, Apple. Many people will download Skype just to talk with people who have less ‘smug’ in their life.) Guess who owns Skype and who Skype has already chosen to partner with. That’s right, Microsoft and Facebook. Businesses who don’t use Skype are using Cisco in many instances. They aren’t going to convert to Google. Some of you may be eager to point out that Google Voice has more users than Skype. Do you think that stat will stay constant now that Skype has access to at least 500 million more people? I don’t. On a side note, I do know people who have been using Google to video call. A good friend of mine has only used Google to video chat for a long time now. When I asked her to join me on Google+, she declined. Why? Well, that leads me to Point #2. If I didn’t have to know about Google+, I wouldn’t be on it. The UI immediately irritated me and I don’t see a whole of consumers as willing to research and read articles as me. That’s takes too much time. Anyone who considers themselves tech-savvy wants to be able to log into a service and immediately know how to use it. That’s why web designers spend so much time focused on user experience. Think of it like this. Say that you heard about this new supermarket with most of the things that Wal-Mart has at around the same price but there might be hot people and some cheaper prices there. You might go to the store to check it out but if you can’t figure out where you can get milk in 5 minutes or less, you’ll probably go back to Wal-Mart. You have other errands to run anyways. It’s the same thing with Google+. We know how to use Facebook, Twitter and YouTube. Some people are starting to feel tumblr. We don’t have the time to really check out Google+, as it doesn’t provide enough new stuff to justify ditching one of our other services. Does Foursquare ring a bell to anyone? Everyone thought that Foursquare was the next big thing because it allowed businesses to register and offer real-time deals to their customers. Unfortunately for them, people didn’t have the time to check in and if they did, they would rather use that app-space on their phone for Angry Birds Seasons. When Facebook came out with Facebook Deals, Foursquare started its slow decline into obscurity. I’m sorry Mayors! The same is going to happen with Google+ Hangouts. There is already an app out there for group calling using Facebook’s new abilities. I read about it HERE. If you don’t think that Facebook will come out with something that allows for their ad-hoc groups to video chat, you’re a Google groupie and aren’t thinking clearly. The 18 million people that have gone Google+ don’t concern Facebook. There are more disengaged users on Twitter than that. 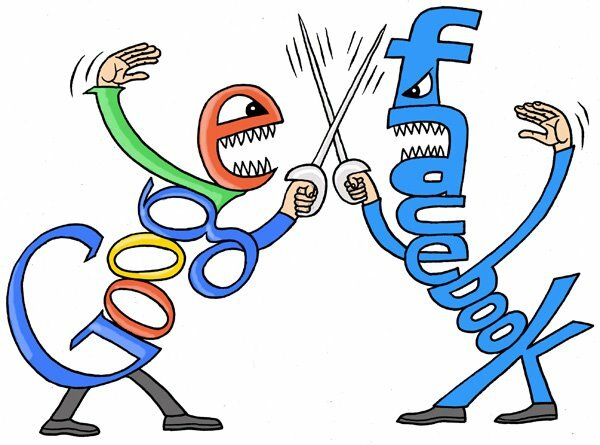 Facebook will do it and better than Google did. There is a reason that they kill or buy competitor after competitor and if you’re justifying your suggestion to convert based on Google+ Hangouts, you’ll soon find yourself out of a job as a Digital Strategist. Google+ kicked out William Shatner. That was a horrible play that got media coverage anywhere that people care about Google+ or Captain Kirk. If they want to follow that up by posting about Lady Gaga and Justin Bieber, they might as well hang it up now. If all I had was knowledge that Google+ is a Denny Crane Hater, I’d be slow to convert. People still care about the Shatner.